Laura Dern gives one of the best performances in her career in what is the most harrowing film we’ve seen this year so far. “The Tale” was directed by Jennifer Fox and is based on her own story of childhood sexual abuse. Laura Dern plays a fictionalized version of Fox in her 40s, when her mother discovers an essay she wrote when she was 13 years old which contains clues to childhood molestation. Fox tries to resurface the memories of her past trauma and remembers one summer when she went to a horse riding camp and was raped by her 40 years old coach. “The Tale” is a superbly directed drama which tells a powerful yet devastating story that seems more relevant now than ever. 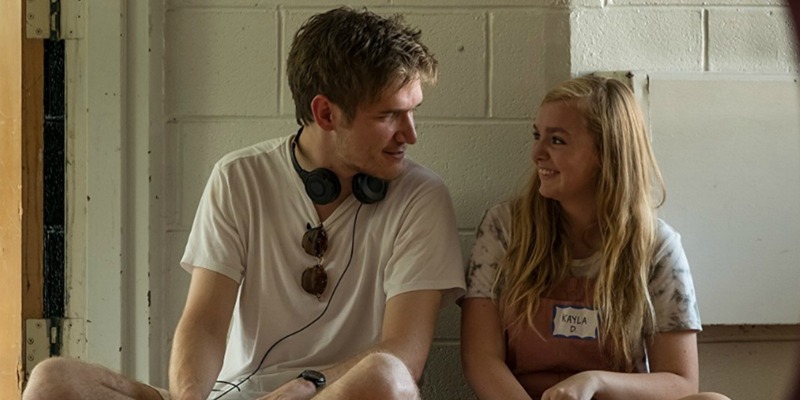 “Eighth Grade” is the most authentic on-screen depiction of Generation Z and the impact that social media and use of technology from a young age can have on today’s teens. The film stars Elsie Fisher as Kayla, a 13-year old girl who is about to finish the eighth grade at a New York public school. Despite struggling with shyness and lack of confidence – she’s been given the “Most Quiet” award by her schoolmates – Kayla is trying to become a better person and does a sort of self-therapy by posting motivational videos on her YouTube channel where she is giving advice on topics like how to be yourself, how to get yourself out there and all sorts of adolescence problems that she herself struggles with. This is one of the best coming-of-age dramas we’ve ever seen, a very relatable film for anyone who’s had a tough time through his formative years. The historical melodrama “Cold War” was selected as the Polish entry for the Best Foreign Language Film at the upcoming Academy Awards, has earned director Paweł Pawlikowski a Best Director award at the Cannes Festival (where it also competed for the Palme d’Or) and is one of the most acclaimed films of this year, with many critics going as far as calling it a masterpiece. While we think that Pawlikowski’s previous film “Ida” (winner of the Best Foreign Language Film at the 2015 Academy Awards) was an overall better film, we won’t deny that “Cold War” is an admirable achievement. The film was inspired by Pawlikowski’s own parents’ life and follows the impossible love story between Wiktor and Zula, a musical director and a young singer who try to avoid the misery of post-war Poland. From its first frame, “Cold War” stuns the viewer with its impressive cinematography. Just like Pawlikowski’s previous film “Ida”, “Cold War” is shot in black and white and uses the old-school 4:3 aspect ratio. This combined with the restrained camera movement, impressive costume and set designs and the melodramatic plot makes it very resemblant of classical cinema and helps to recreate the dismal atmosphere of communist Europe. Hirokazu Kore-eda’s family drama features a family of shoplifters from Tokyo who discover a little girl freezing outside in the cold and, despite their struggle to survive poverty, decide to take her home and unofficially adopt her. If you’re a film passionate, you might have already seen or at least heard about “Shoplifters”. After all, it has won the Palme d’Or award at this year’s Cannes Film Festival. But if we are to look at the low number of user ratings the film has on sites such as IMDb or Rotten Tomatoes, most people haven’t seen it yet. This is a shame, cause “Shoplifters” is one of the most profound, emotional and thought-provoking films 2018 had to offer. Kore-eda proves once again that he is among the best contemporary Japanese directors. Seriously, his entire career doesn’t contain one bad film. And while this is the first time a Kore-eda film has won the Palme d’Or, it is far from being the first time his work was associated with the prestigious festival. Only in the last five years, his 2013 film “Like Father, Like Son” was nominated for Palme d’Or and has won the Jury Prize, “Our Little Sister” (2015) competed for Palme d’Or and his family drama “After the Storm” (2016) got nominated for the Un Certain Regard award. Haven’t seen any of his films yet? Start with “Shoplifters” and then make your way back through his entire catalogue. You won’t regret it. This critically acclaimed South Korean mystery drama competed for Palme d’Or at the 2018 Cannes Film Festival and was selected as South Korea’s entry for the Best Foreign Language Film at the 91st Academy Awards. If that is not enough to arouse your interest, we will just say that “Burning” is one of 2018’s best films and – regrettably – undeservedly underrated. “Burning” was directed by Lee Chang-dong and stars Yoo Ahh-in as Lee Jong-su, a young quiet man who has a part-time job as a deliverer in Paju. One day, Jong-su bumps into Shin Hae-mi (Jeon Jong-seo), his old friend and ex-neighbor. Hae-mi asks him to take care of his cat while she is away on a trip to Africa. Upon her return, Jong-su is jealous to see Hae-mi accompanied by Ben (Steven Yeun of “The Walking Dead”), a charming yet mysterious man whom she met in Africa. When Hae-mi vanishes into thin air, Jong-su is convinced that something bad happened and his only suspect is Ben. Part art-film and romantic drama, part slow-burn thriller, “Burning” is intriguing, melancholic and meditative all at the same time. It benefits from an inventive screenplay, impressive acting from a small yet fantastic cast, great Tarkovskian direction and – least but not last – stunning cinematography from Kyng-pyo Hong (“Snowpiercer”, “The Wailing”). Definitely a must-watch.